Bujinkan dōjō (武神館道場) Sōke (宗家), Dr. Hatsumi Masaaki (初見良昭 ) has graciously agreed to act as the Honorary Principle of the The British School of Japanese Traditional Medicine. He is also Sōke (lineal head) of the Amatsu Tatara (天津 蹈鞴) Hichibuku Goshin-jutsu (秘致武九護身術) tradition. Originally, Hichibuku Goshin-jutsu was taught along-side the martial arts of the Bujinkan. It draws on the ancient natural philosophies and teachings of Amatsu Tatara. 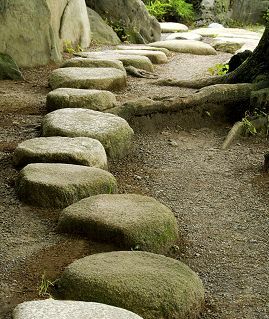 In contemporary times the Amatsu Tatara Hichibuku Goshin-jutsu is a comprehensive system of Japanese natural medicine, which Hatsumi Sōke received from his teacher Takamatsu Toshisugu (高松 寿嗣) Sensei. Hatsumi Sōke has been granted 'Life Membership' of the Royal Society of Medicine (RSM) and honoured by the permanent inscription of his name on the 'Wall of Honour' in the Atrium of RSM headquarters building in London. 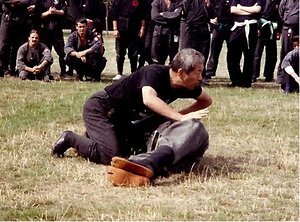 Peter King's is a 'Dai Shihan' 大師範 (Senior Master Teacher) in the Bujinkan (武神館), his qualifications and the level of transmission of knowledge that he has received from Hatsumi Sensei is unique. He is the principal tutor at the British School of Japanese Traditional Medicine, which runs international training courses in the Hichibuku method in Europe (& occasionally in North America). In addition to his Amatsu Tatara credentials, Peter is a Registered Osteopath, State Registered & Chartered Physiotherapist, Advanced Acupuncturist. As an educator, he teacher Osteopathy to BSc. & MSc. level in the UK & Italy. Peter's background has enabled him to develop a Hichibuku Goshin-jutsu (秘致武九健康法) programme that is appropriate to fellow Bujinkan practitioners (Buyu 武友) and medical / healthcare professionals.